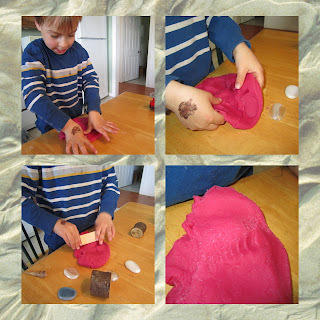 We made some jello play dough using a recipe from playdoughrecipe.com We used raspberry and it turned out to be quite vibrant! The boys used different nature objects to make prints before the traditional plastic toys came out. Their concentration was incredible. 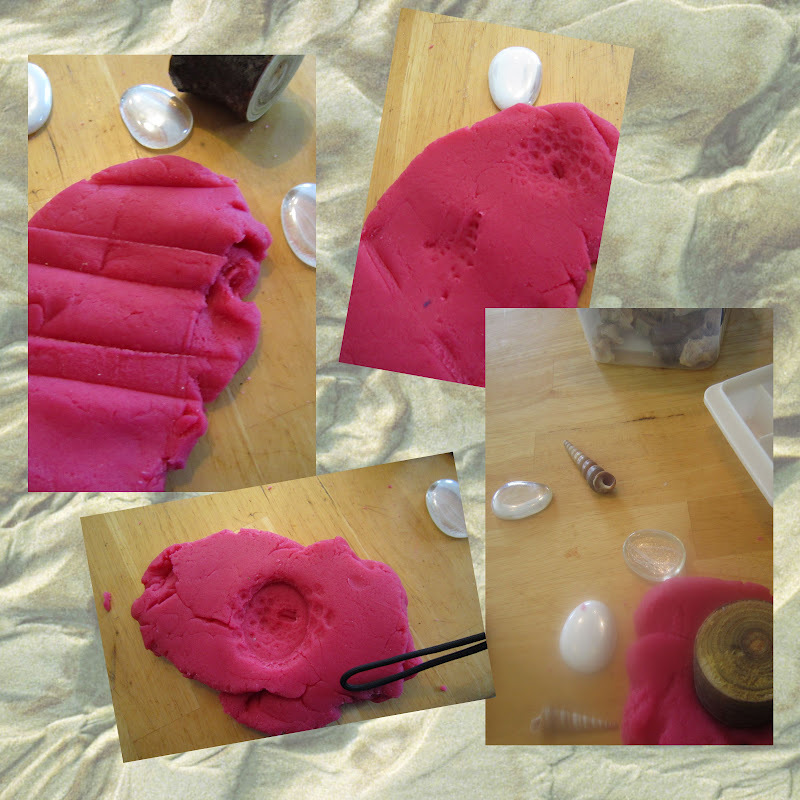 TJ was so exciting with all the prints his objects were making. 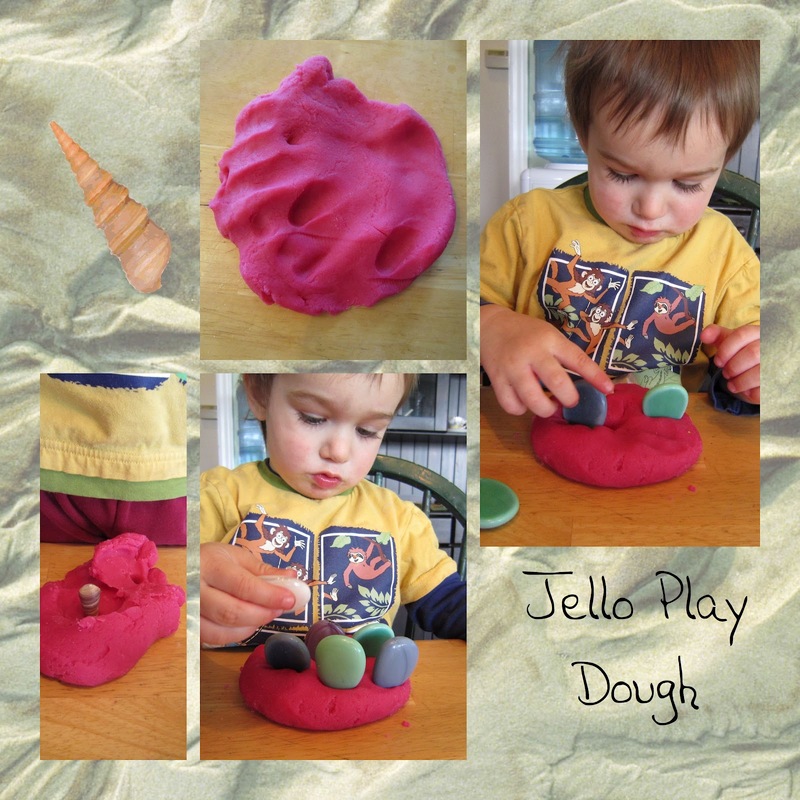 i like the idea of mixing natural objects with bright pink playdough.